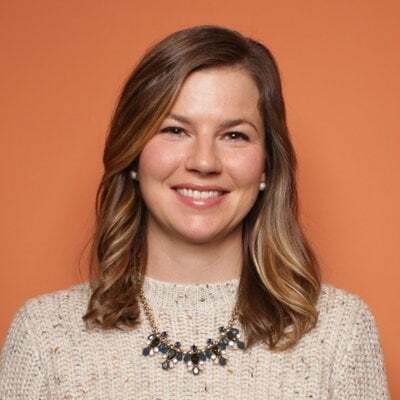 When I worked at an agency, we had numerous spreadsheets outlining all of our clients and the tools they used and we used to manage their account and campaigns. The lists were endless by the time we included social media profiles, email marketing software, CRM, analytics accounts, marketing automation platforms, the website credentials, blog CMS login, form tool, etc. That didn't even include the tools we used internally, such as time tracking, file management, and project management tools. There's no lack of sophisticated marketing and advertising sotware options -- all which promise to make your life easier and improve results. But are all these tools just causing confusion? Are they making our jobs any easier? A report from the Winterberry Group on marketing data technology's complexity will only confirm why you have a headache at the end of day. We have the tools to collect the data, but lack a centralized system to manage the data and tools marketers use. That's right. Marketers are on average using more than 12 different tools, and some are using more than 31 tools to manage campaigns and data. If agencies are managing these accounts on their clients' behalf, that's a dizzying amount of tools and programs to learn, use, and keep track of on a daily basis. The research report highlights that marketers believe integration is key to using data to support marketing and advertising. They have the data. Now they need tools that allow them to see a complete and cohesive view of a customer. They need to be able to track campaigns against different channel initiatives. 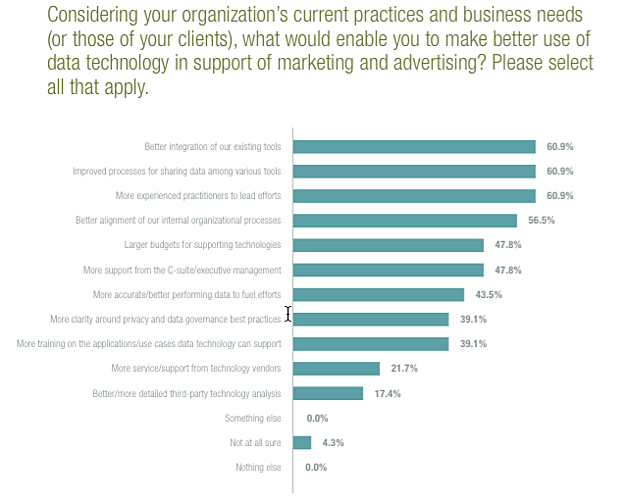 The below chart shows that 61% of marketers want both better integration of tool and improved proceeses for sharing data among tools. The other interesting point of this chart is that marketers are just as concerned about integration of data as they are about hiring and retaining talent who can manage, analyze, and extract insights from the data gathered. 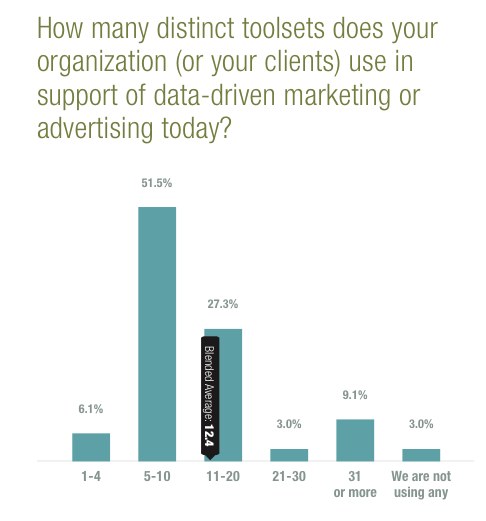 To use these tools to their full advantage, marketers and agencies want data-savvy individuals. The charts simply confirm the complexity marketers face on daily basis. And maybe that's the key. How could your agency's mastery and simplification of these tools become a selling point?